This will be one of my largest blog posts. 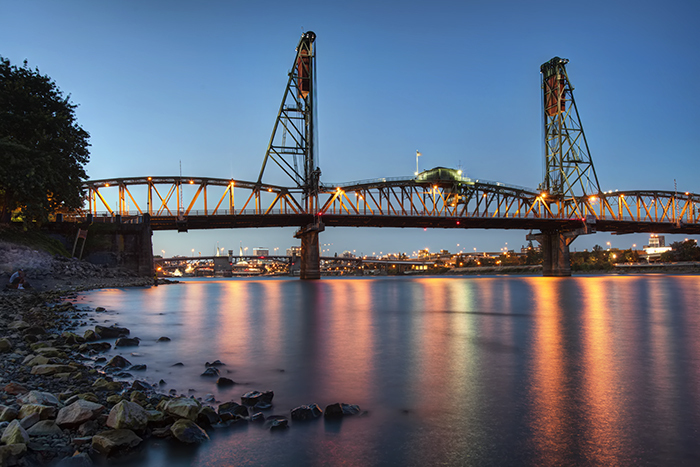 I decided to lump most of my Portland photos together. On our first day in the city, we didn't have our car rental yet, so we took the MAX light rail and walked around. We stumbled on this fairly popular ice cream shop called Ruby Jewel Scoops. 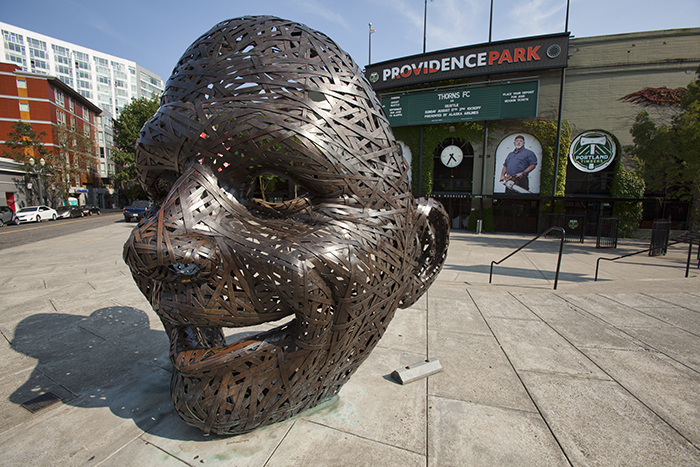 Our hotel was near Providence Park, which is where the Portland Timbers play (Major League Soccer). Too bad they were on the road the weekend of our visit. To cap off our first night in the city, we took the bus down to Deschutes (after a detour through Powell's Books). 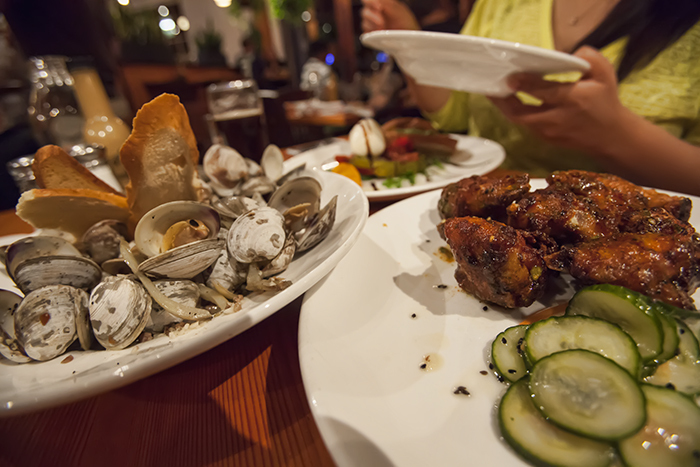 I wasn't all that impressed with the brews this time around (I had been there before), but the food was excellent and the Steamer Clams come in a very healthy serving size. 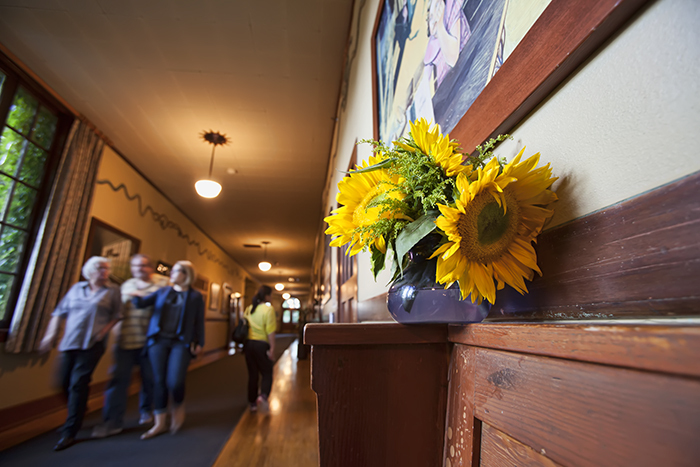 The next day, after our trip to the Columbia River Gorge, we stopped by McMenamins Kennedy School. Aside from the tasty Morning Coffee Cream Ale, their beers were rather forgettable. It was interesting walking through the various corridors of this former elementary school. The Boiler Room bar is probably the coolest spot. It is in fact the school's former boiler room! We ended our second night in Portland with a quick visit to the Waterfront area. I'm happy to report that I captured the shot I wanted on the first attempt. On day three, we drove to the coast, which I'll leave for a separate post. 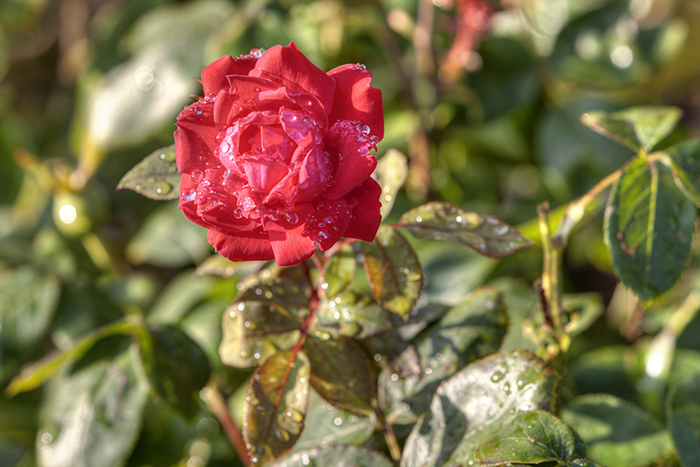 Day four, I woke up early and visited the International Rose Test Garden. 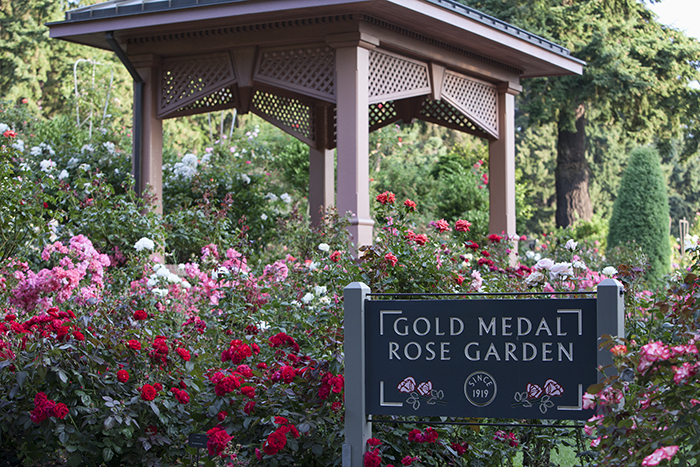 Not that I'm into roses, but I figured you can't take your first real trip to the city of roses and not visit a rose garden! 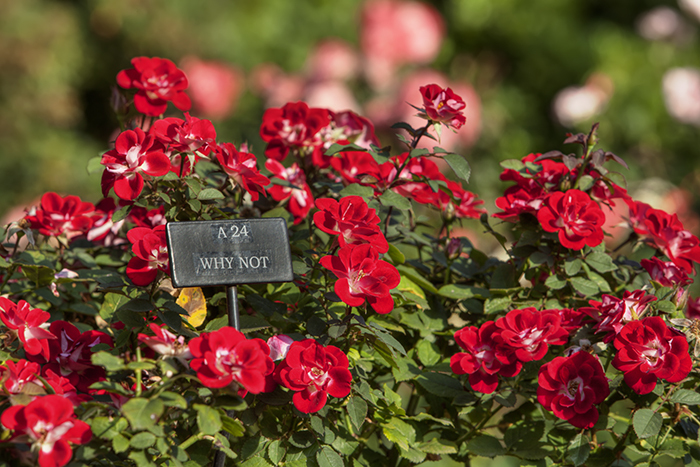 And as this bed of miniature roses clearly states, "Why Not?" One thing I realized on this trip is that I'm really not a "foodie." 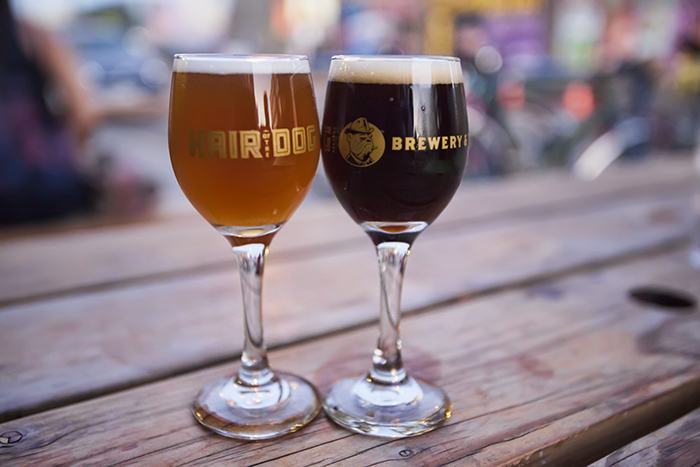 Portland is definitely a food town, but we didn't exactly seek out many food spots. 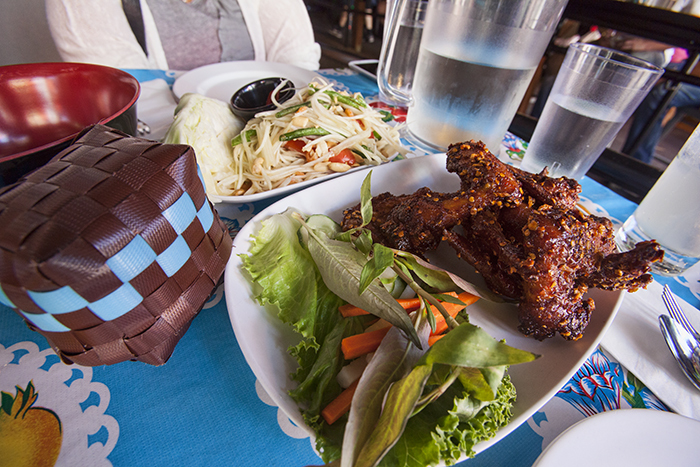 One exception was the famous Pok Pok Thai restaurant. The food was good but no better than Pan Asian in Las Vegas (granted I haven't been in a long time). I did love this "Drinking Vinegar" though. As it turns out, we have the stuff to make it at home! In my limited experience, my new favorite Portland brewery is Cascade. As the self-proclaimed "House of Sour," they aren't kidding. 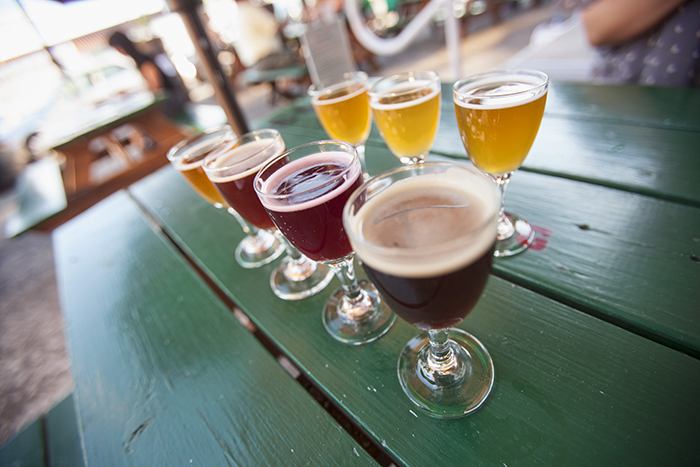 Most of their beer list seems to be comprised of sours, which is currently my favorite style. I was in heaven. 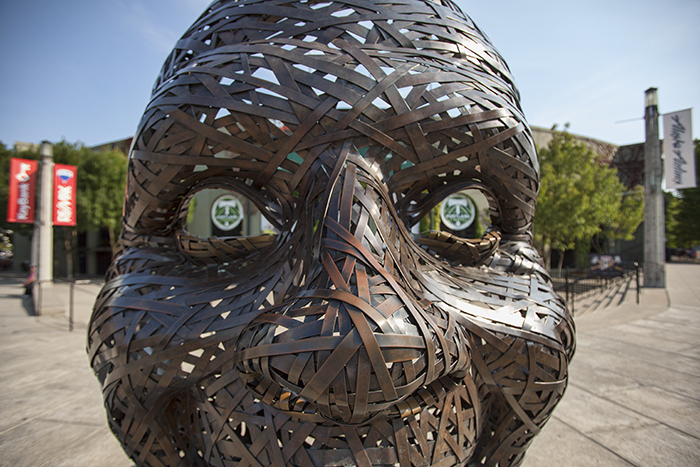 In the "Keep Portland Weird" category, you'll never guess what's across the road from Cascade Brewing. A goat field! While we were enjoying our beers on the patio, I noticed some people who looked like they were feeding some animals. What an awesome find! Upon further research, it seems like they will be relocating soon. Finally, it only makes sense to close this post with more beer. In the photo below, meet Fred and Adam. Yes, those are the beer names. Delicious, complex, and strong!